Traits are an easy way to share code between classes, but how do you test them? I used to test the trait in isolation and not test the traits functionality while testing the classes that used the trait. This lead to passing tests and bugs. I tried copy and pasting code between tests, but this always seemed like a bad solution. Lately, I've been using traits to test traits and have been happy with the results so far. Generating Uuids with Ramsey Uuid is damn easy, \Ramsey\Uuid\Uuid::uuid1(). Generating predictable Uuids for testing while not obvious, is not difficult either. In a few simple steps you can replace the default Uuid Factory with a mock factory that will return your specified Uuids . Monolog is the defacto logging library for php and FingersCrossedHandler _should_ be the defacto Handler. It's designed to only show debug logs when an error level log has been recorded. But this can lead to too many logs or not enough logs. Luckily, with the right configuration the handler can provide you with just the right amount of the right logs. Come see how to configure your Fingers Crossed Handler. After being tired of looking up the path to a binary I rarely used, I created an alias that saved me endless frustration. While preparing for a talk, I realized that I'd been writing unit tests wrong for the last 3 years. I'd always approached test writing iteratively rather than from the outside in. With this one change, I was able to write cleaner more maintainable tests. Often when working with Kibana, I want my result set to contain only results that have a specific term. I'm not interested in filtering on the value of the term only that it exists. In this blog post, I'll cover how to perform this search as well as the inverse, excluding results with a given term. Type hinting your properties, specifically your mock objects, in your tests can go a long way to create a more seamless and developer friendly test suite. For a long time, I suffered through static code analysis errors where I was supplying mocks to my concrete objects. But with these short steps, I solved those problems. During your career you may come across a project that changes how you think. During an interview I had one such moment. This became the interview I take with me to my job everyday. 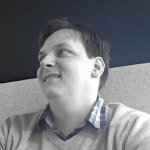 While doing research for an upcoming talk about php middlewares, I came across these blog posts and libraries that I thought were really insightful and interesting. With the advent of custom TLDs, phishing attack vectors are growing. Users no longer have to know what the domain is, they must now also be aware of all the domains and tlds a company owns. Are your phpunit autocompletions no longer showing up in PHPStorm? Here's the reason why and the solution. Tired of solving merge conflicts in this your composer.lock or even worse deleting it entirely? Does Your Geography Choose Your Framework? Working on a remote team, I believed the library, framework, and language choices I made weren't influenced by where I lived. After getting out into the wider world, I realized how many of mine and others' decisions were actually influenced by what developers who lived near us. Convention is a powerful tool, it allows programmers to make assumptions about how code will work. However, when choosing between self documenting code and convention, self documenting wins. Conventions make assumptions of the users prior experience, where as self documenting makes no assumptions. Sometimes it handy to see all of the queries sent that are actually sent to MySQL, unfortunately doing anything in MAMP is less than ideal. See how you can easily turn on the General Query Log in MAMP. As the php language grows and evolves, I wonder if it's losing itself in an attempt to be "good". The language over the years has grown wide spread criticism for bad programming and enabling bad programmers. Some of these bad programmers have drastically changed their lives, enabling them to have opportunities they would have never imagined. In an effort to seek acceptance, the php community and language have gone through many changes. But at what cost are all of these changes? Straight forward demonstration on how to change the default pagination rendering engines for Laravel 5. A simple explanation of when to pluralize your directory's name. Creating simple 1 parameter extensions in laravel is plainly laid out in the documentation. Taking it a step further can be a little more tricky. But this doesn't need to be true. A step by step example based explanation of transitioning a web page into an MVC based application. For a long time, I didn't protect my actionable links from CSRF attacks. By actionable links, I mean links that will modify data on the server, e.g. "delete product", "publish post", "like". I'd always written these as regular "a href" links, but this can be a very easy to manipulate attack.